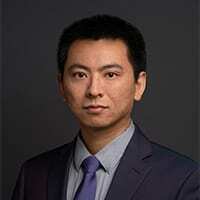 Wenliang Hou is a senior research advisor at the Center for Retirement Research at Boston College. Before joining the Center in 2014, Mr. Hou interned at PricewaterhouseCoopers and at AIA Group Limited in Shanghai, China. His research interests include pension plans, long-term care insurance, and retirement preparedness. Mr. Hou earned his B.A. in accounting from Xiamen University in China and an M.S in actuarial science from the University of Nebraska-Lincoln. He is an associate of the Society of Actuaries and a Ph.D. student at Boston College. He has also passed all three levels of the CFA Program and may be awarded the charter upon completion of the required work experience.